WHAT is the EURES Network? Created in 1993, EURES is a cooperation network between the European Commission and the European public employment services of the EEA Member States (the EU countries, Norway, Iceland and Liechtenstein) and other partner organizations. Switzerland also participates in EURES cooperation. 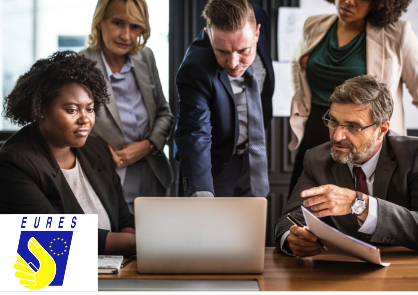 The joint resources of EURES members and partner organizations provide a solid foundation for the EURES network to offer high quality services to workers and businessmen. In European cross-border regions, EURES has an important role to play in providing information about and helping to solve all sorts of problems related to cross-border commuting that workers and employers may experience. Would you need any further information or help looking for a job offer which fits with your profile, please do not hesitate to contact us.